BAKERSFIELD, CA — A legal group representing nut farmers in California’s San Joaquin Valley filed an appeal with the U.S. Supreme Court on Wednesday, hoping to reverse a Ninth U.S. Circuit Court of Appeals decision from March that upheld a curb on water pumping championed by environmentalist groups in order to protect a species of fish in Northern California. In March, the Ninth U.S. Circuit Court of Appeals reversed a Fresno district court’s ruling that a 2008 biological opinion (BiOp) drafted by the U.S. Fish and Wildlife Service was “arbitrary and capricious,” and reinstated the BiOp. 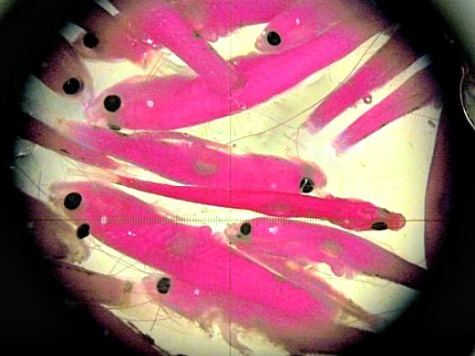 The BiOp affords protection to the threatened Delta smelt species of fish in the Sacramento-San Joaquin River Delta by imposing cutbacks on water pumped to the Central Valley and the rest of Southern California for agricultural and residential purposes. Now, the nonprofit Pacific Legal Foundation (PLF) representing walnut, almond, and pistachio farmers in the Valley claim that the Ninth Circuit Court did not take economic impact data into account when it made its decision to uphold the BiOp. Farmers, agriculture officials, and local representatives have long argued that the cutbacks on water pumping are driving down production levels and driving up costs. Assemblywoman Grove, who authored a September 19 editorial calling for a review of “bad” water policy and a temporary suspension of the Endangered Species Act, said she supports the farmers’ appeal to the Supreme Court. “It is important that growers take this fight to the U.S. Supreme Court, who will hopefully consider the economic pain and suffering being caused to Californians by the Endangered Species Act,” Grove said. The case is Stewart & Jasper Orchards v. Jewell. The full text of the appeal can be viewed here.